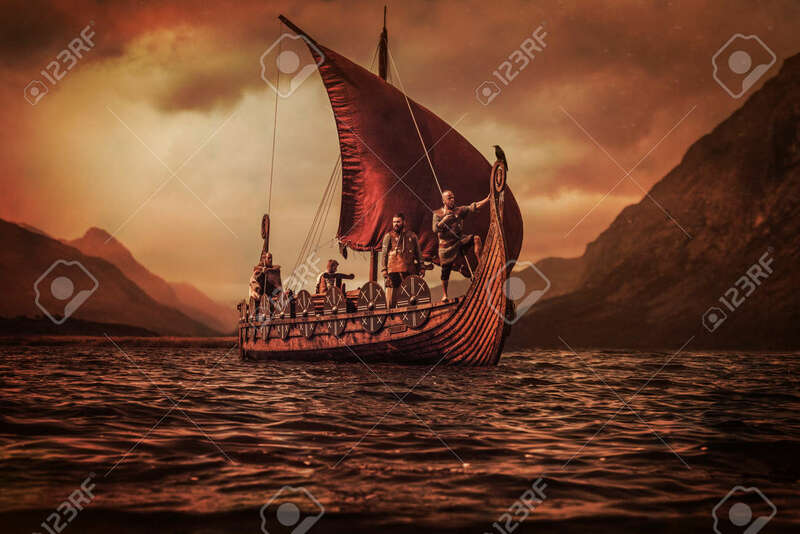 Group Of Vikings Are Floating On The Sea On Drakkar With Mountains.. Stock Photo, Picture And Royalty Free Image. Image 64798135. Stock Photo - Group of vikings are floating on the sea on Drakkar with mountains on the background. Group of vikings are floating on the sea on Drakkar with mountains on the background.